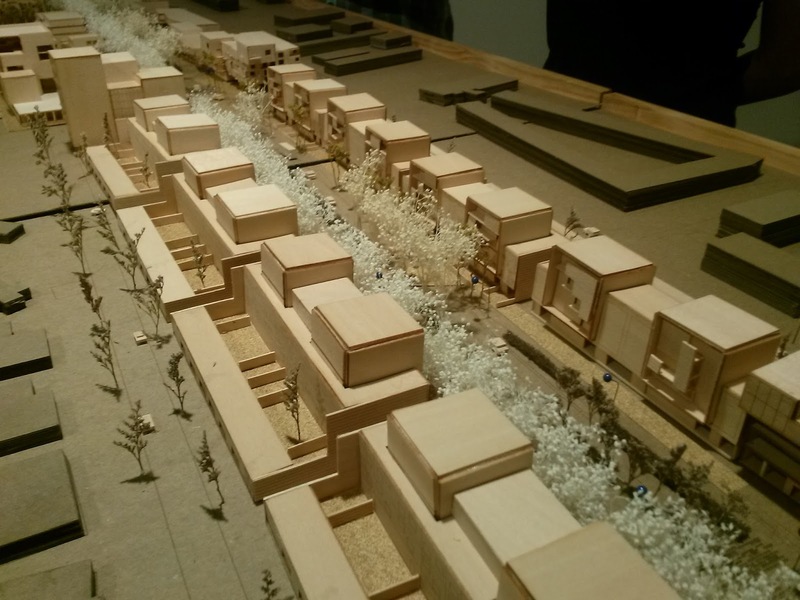 Over the last year, the School of Architecture has produced design visioning for both Campus and the NW 20th Street Corridor. In addition, the School of Urban and Regional Planning has examined the issues, challenges and opportunities involved with improving the Town/Gown relationship. Student proposals will be displayed at the Ritter Gallery on the FAU Boca Raton Campus from June 2nd to July 20th. With a special reception event hosted by the College for Design and Social Inquiry on June 10th. Please join us to both celebrate the student's work and to review and comment on the proposals for creation of an integrated cooperative future vision for Boca Raton and FAU. During this public exhibit special efforts will be made to invite participation by individuals and groups from the array of stakeholders involved from the University and the City. For June 10th, RSVP to Marian Williams, [email protected]"
I swung by the Ritter today to check it out and take some pictures and ended up having a great conversation with one of the architecture professors behind the project. This will actually be broken up into at least two (if not three) blog posts about the exhibit which, again, will run for a month. This first blog post will focus on the architecture models and paraphrasing from our conversation. I intend to follow up with some of the renders the students did as well because my pictures came out a little blurrier than anticipated and I'm hoping to get official copies to post because it'll be cleaner that way. 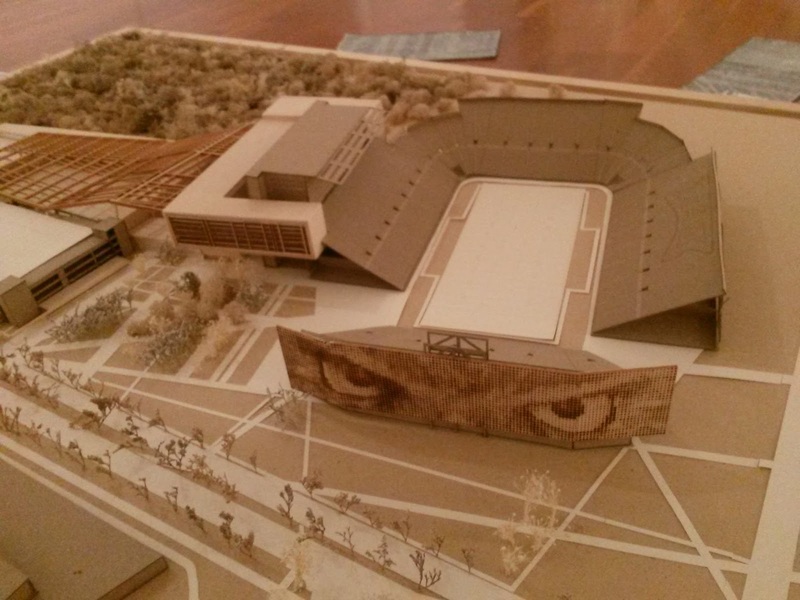 These are not official plans asmuch as the College's ideas for where we might be able to go. Still, you may see a number of these elements become official components of the campus in some form in the future. The notification says the exhibit is open as of June 2nd, which is technically true since I was allowed in there today, but it's still very much a work in progress as models are still being arranged, posters are being hung, surfaces are being painted and sanded, etc. Remember that the official opening is on the 10th. Therefore, if you're hoping to swing by and see it for yourself early - and I wholeheartedly recommend that you see it for yourself at some point - then you might want to give it a few days. The hours are Tues-Fri 1-4pm and Saturday 1-5pm and directions to the gallery can be found here. Furthermore, I'm posting a general overview for the people who live too far away to see it in person, and as a preview to get you interested in seeing the final product and contributing to the discussion during the opening on the 10th, which reportedly will include appearances by FAU President Dr. Kelly and officials from the City of Boca Raton. There will be a "chalkboard" wall for people to write suggestions on at that time. Now that that's out of the way, let's get to the exhibit itself! To interpret this a little bit: find the stadium on the north end to orient you. The southeast circular structure represents the hotel space/nodes. The buildings north of the hotel are speculative future buildings. What's perhaps most interesting about this proposal is the idea of extending Diversity Way to the east and creating a new "Breezeway" system as large as the existing one. 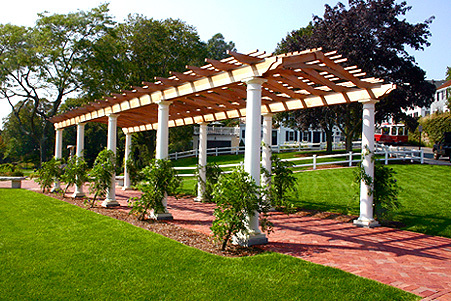 Now, it may not be the concrete covered Breezeway as you know it, the professor explained, but it could be something like a trellis. There have been discussions in the past about expanding the Breezeway along Diversity Way to the Student Union, and maybe even north across to Innovation Village, and this sort of fits in with that idea. 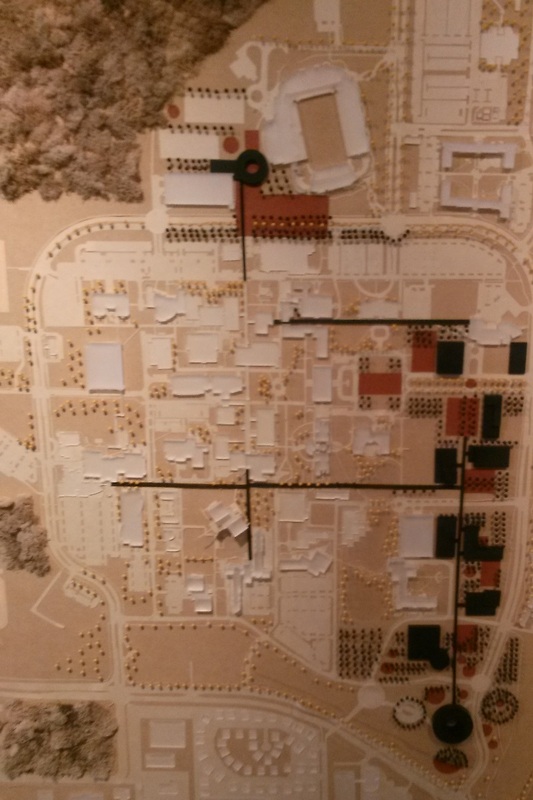 Another very interesting idea, that I've never even considered before, was whether Diversity Way and such could be extended east all the way through the University Village Apartments straight to 20th Street. Basically it would cut through the western entrance node to UVA (the one by the bus stop) and than continue on, cutting out the need to walk the strange S shape road that connects East University Drive to 20th Street by the president's mansion. 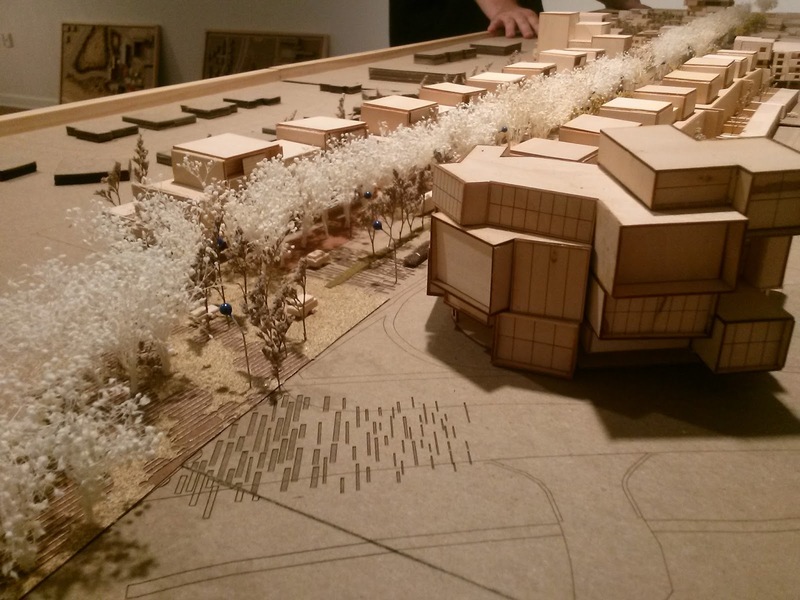 Again, it wouldn't be a literal expansion of the Breezeway through all that space, but rather a series of well-defined pathways that clearly connect the heart of campus to 20th Street itself. If you combine it with the Campus-to-Airport Road bike path idea I proposed, that could extend the accessibility of students from Cinemark to Dixie Highway which would be incredible. 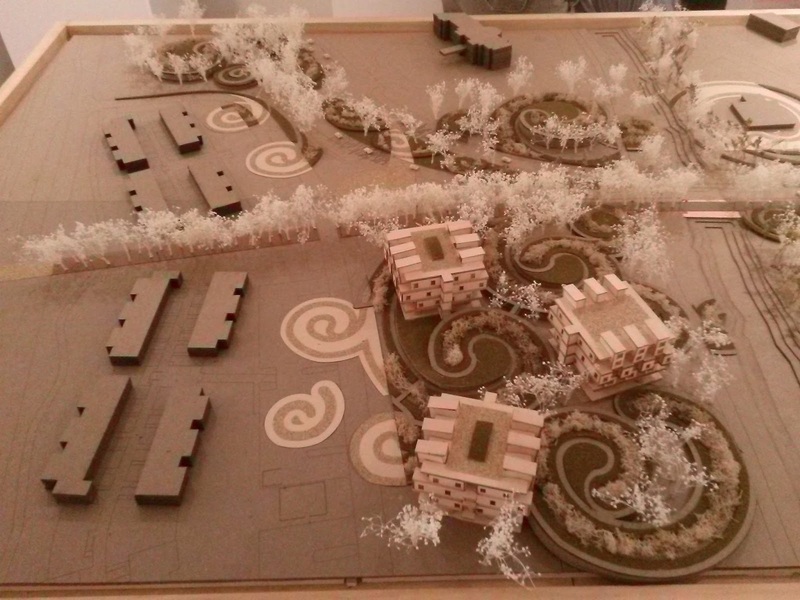 Moving on, this was a very interesting idea for new student housing and owl preserve/gardens/arboretum space near the El Rio trail, just east of UVA. For orientation, the darker "lego" shapes on the left represents UVA and the White House-looking building on the north side is the President's mansion. Notice the tree-lined pathway I talked about earlier that would run from the heart of campus toward 20th street and cut through UVA. See how that could work? And by building these structures it also gives you opportunities to renovate El Rio Trail, which is technically the City's responsibility but I'm sure FAU could consider it. Even so, the professor mentioned how Dr.Kelly isn't that interested in developing more on-campus housing and would prefer that the private market - in particular, developers of 20th Street - could take over that responsibility. Considering that on-campus residency rates are dropping due to newer, better offerings off-campus (University View, University Park, etc), this is a smart move. It's not just a smart move financially for FAU but it's a smart move because more off-campus housing near campus helps to build that "college town" feel that is central to this entire discussion. That's another reason for you to see it in person since pictures don't do it justice. Probably should have shot some video now that I think of it. Oh well. Anyway, the 20th Street vision was actually broken up into a few zones. The westernmost cluster was mixed use, retail/restaurants/bar on the bottom and student/family/professional housing up top. We're not talking skyscrapers, just something similar to campus density of about 3-4 stories high. Beyond that were random buildings and complexes, though if I remember correctly the professor said the goal was 70% housing, 30% retail/other uses. As you can make out a little bit, there would be shaded trees, landscape and pathway improvements, public gathering nodes, and larger buildings near the intersections representing a "terminus". The model predicts that all the existing storefront along 20th Street would be removed and rebuilt with these new structures; I think it will more likely be developed piecemeal and some places, like Bookwise, the Owl's Nest gas station and maybe the shopping plaza with It's Owl Time could survive in its current state. Still, it wouldn't hurt to have a transition plan, and I'm sure there will be many discussions about that with current shop owners moving forward. Although it makes sense to relocate places like Boca Bargoons, it would be counterproductive to drive away Bookwise, It's Owl Time, the Owl's Nest, Munchies, Go Greek, Na Kava, etc since those are the kind of places we ultimately want on our college corridor. Furthermore, we want proud alumni opening up shops and bars along 20th Street, so we also need to talk to the College of Business and see what can be done to inspire more students to do that - maybe something related to their annual Business Plan Competition which helped spark Go Greek in the first place. Maybe there are students who want to open up cupcake or crepe shops, or bars with arcade games in them, or escape room businesses. They shouldn't be going to downtown Delray to do that. In the end, that's up to developers and we would hope the City could code for and enforce policies along the corridor for college student-specific development because otherwise we've just built yet another outdoor shopping plaza with a Subway, Allstate, Goodwill and other random crap you could see anywhere else in Florida. Sure, that stuff will pop up (because if there's one thing the world gets without wanting it, it's a Subway in a new shopping plaza) but we just don't want it to be overwhelming the student alumni businesses, FAU-specific businesses like It's Owl Time, or other things that clearly say, "You're on a college town street." To do this, you can bring in places like SandwichU, dorm supplies stores, party stores, places that sell mopeds, more college apparel places, maybe even Greek Housing - hey, maybe this is the place for it. I'd imagine that you'd want something like a 3:1 ratio of "clearly college business" to national chain restaurant/retail/etc. Anything beyond a 3:1 ratio and you've lost sight of the original purpose. But again, you can't see that in the models. The models define space and possibilities. And they're very exciting possibilities. It's a glimpse into how our world could be in the next decade and it has the power to reshape the conversation about Boca Raton on a national level. There's a lot of talk about how to attract young professionals here and to retain the graduates we do have and this is the answer. Do this right and the people come to you. They want food, they want entertainment, they want an active and fun lifestyle outside of work; they need more than the beach, Cinemark, and Mizner to get their attention. This is the City's ace in the hole there. That's why it's mutually beneficial beyond cleaning up a stangnant district. The bigger picture is about redefining a better Boca Raton for everybody. P.S. Stay tuned for Part 2.